Admission for the evening includes a one hour seminar from 7:30PM to 8:30PM — appropriate for all levels, followed by general dancing until 11:00PM. Light refreshments and beverages will be provided. 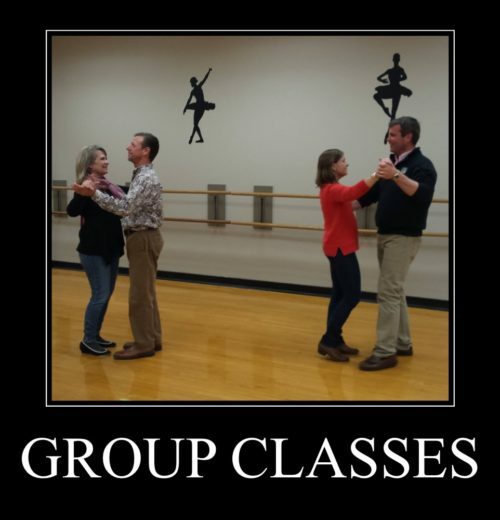 Ac-Cent-Tchu-Ate the Positive has been holding Ballroom Dance socials since arrival in Williamsburg!—Pre-Registration deadline is 7 days prior to each social. Admission for the evening includes a one hour seminar from 7:30PM to 8:30PM –appropriate for all levels, followed by general dancing until 11:00PM. Light refreshments and beverages will be provided. (Please bring your own water bottle.) Please bring a change of shoes for the dance floor. High heels must have suede bottoms. 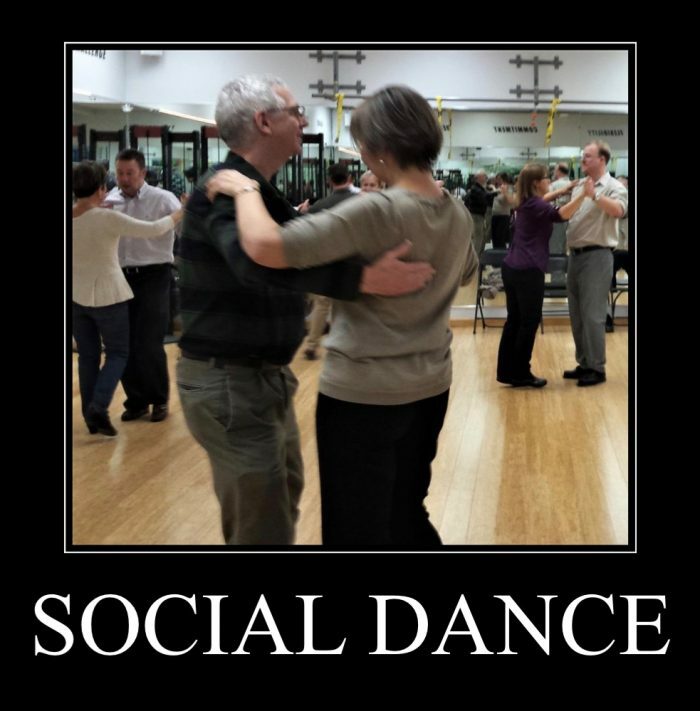 As per my training with the ISTD and its strong foundation in pedagogical methods, the first half hour of the social dance will be focused on Beginner movement (Foxtrot, Waltz, and East Coast Swing) so that all ballroom students can dance to every song and not be intimidated, and then we will begin to mix in a broader range of dance styles. AND Please be advised that we have a system of pre-registration for the dances—pre-register for the dance by the preceding Friday and pay a discounted rate of $12/person. We need 12 pre-registered participants for the dances to run as scheduled. You may still pay at the door if you can’t commit at the regular rate of $15/person, but you are encouraged to call in advance.